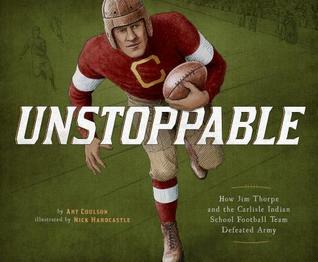 Unstoppable is an inspiring picture book biography about one of the best athletes of the 20th century. Young readers will be amazed by the talent of football and track & field legend, Jim Thorpe. 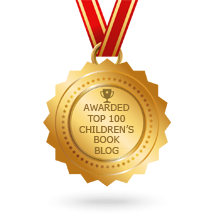 Before describing Thorpe's athletic accomplishments, the author provides readers with background information about the Carlisle Indian Industrial School and how Native children were taken from their families and forced to learn trades and give up their language and traditions. 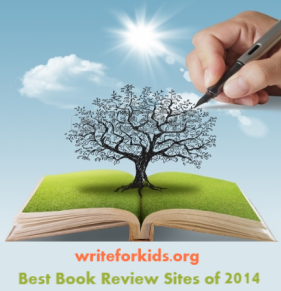 Coulson effectively writes about a serious topic in a manner that is appropriate for elementary readers. Living in PA, I've heard about Jim Thorp...and often thought his story would be a great picture book. I can't wait to read this.